VacAir Superstore is a leading independent supplier of Vacuum Pumps and Compressors and offers the widest choice of replacement and original spare parts covering most major manufacturers, including Becker, Bush, DVP, Elmo Rietschle, Gardner Denver, Leybold and Siemens. We also offer our own range of cost effective VacAir Vacuum Pumps, Compressors and blowers from a range of different technologies including dry running rotary vane, oil lubricated rotary vane, side channel, screw pumps, liquid ring and claw units. VacAir Superstore started life in 1996, as part of its sister company Printers Superstore. Since then demand has grown and we now see VacAir Superstore in a wide cross section of industries including Packaging, Food, Vacuum Forming, Wood Routing, Waste and Water Treatment, Vacuum Lifting, Product Conveying, Vacuum Bagging, Medical and Laboratory, Printing, Scientific and many others. Plus in the process supplying some of the worlds largest manufacturers along the way. Our replacement and original spare parts and pumps are distributed to an extensive customer base worldwide. Specialising in rapid response, we offer next day European and UK deliveries and worldwide express deliveries as standard. We have an extensive inventory of new and refurbished pumps units, plus we have the largest spare parts stock, which covers over 26,000 different items, so not only are vacuum pump vanes, filters, gaskets, oil separators, coupling rubbers and many other common parts available from stock but many hard to find parts are too! VacAir Superstore has a wealth of knowledge offering many years of expertise and experience in the in the field of Vacuum, but we also re-sell units for some of the worlds leading manufacturers. 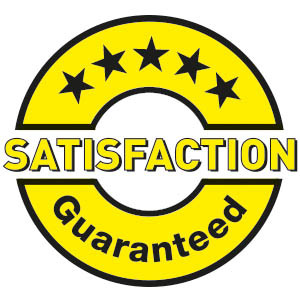 This means that we have at our disposal the knowledge and technical capabilities to ensure that whatever the application you always receive the best, most economical and efficient pump for the job – GUARANTEED! Operating from our modern premises we have a team of dedicated factory trained engineers. We also have technical staff on hand to assist with your enquiries as efficiently as possible. We offer a full workshop repair service from our state of art workshop facility and have a wide range of hire units available off the shelf. We also offer field service nationwide throughout the UK, and can help with establishing preventative maintenance programs for your company or by offering ad-hoc on site servicing as required. Quality is at the forefront and our accreditation to ISO9001 is an integral part of the companies success. The global Superstore culture brings you high quality original and replacement products at the lowest possible price.